We love these fluffy, natural Icelandic sheepskins draped over a dining room chair or small bench as much as we do thrown over the couch, or even on the floor for a makeshift rug (and eternally toasty toes).This sheepskin comes from a small farm in Iceland, who have been harvesting wool for decades, where the sheep are raised humanely, have a high quality of life, and graze freely. This particular breed of sheep have been roaming Iceland since 897, when the Vikings first came to the island—that year is stamped on the back of each sheepskin. All the skins are processed in an eco-friendly way, using only geothermal power (produced by the Earth’s internal heat). 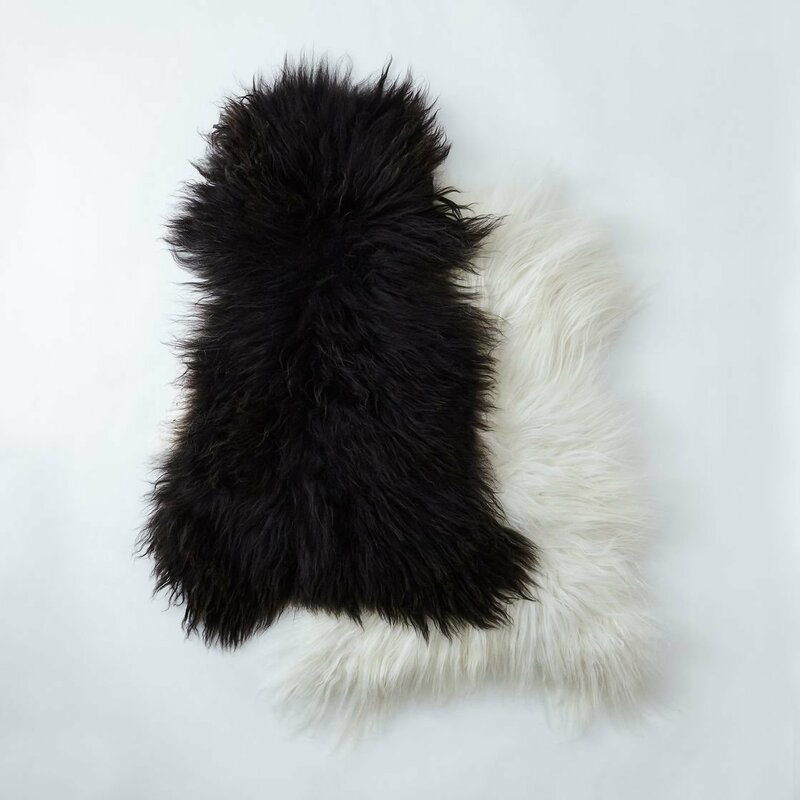 The extra shaggy snugglers are available in a wintry white or a dramatic black. Prepare for all the warm fuzzies. Size: Approximately 43.5" L x 27.5" W.
Because this is a natural material, size will vary. Photography by Rocky Luten, James Ransom.